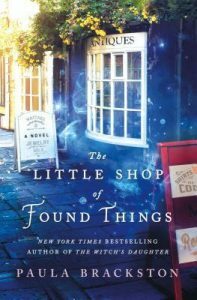 Starting over, Xanthe and her mother Flora purchase an antique store in a small town, where Xanthe’s extra-sensory connections to antiques impel her into a time travel mystery to rescue a young woman in the 17th century to save her mother’s life. Details of time travel are cleverly meted out through Xanthe’s discoveries and conclusions, increasing tension by placing credible limitations on Xanthe’s experiences. Urged on (and threatened) by the ghost of the young woman’s mother, Xanthe makes difficult decisions with every move, resolving impossible conflicts with verve and panache, even sacrificing romance for her mother, which is as it should be. Repeated references to the injustice in her own history could have been more subtle. The ghost mother could have been developed a bit more. The damsel in distress was a lovely vision of mystery even after the reader meets her in person. That she was rescued by a woman is a brilliant move on the author’s part. Readers who love time travel and / or female antagonists who save the day will appreciate this story. I received this wonderful story from the publisher through #NetGalley.